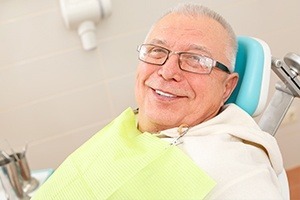 The saying’s really true: “An ounce of prevention is worth a pound of cure.” When it comes to oral health, catching potential problems in the earliest stages is always ideal and can save patients from severe costs and stress later down the road. At Morgan-Hill Dental Care, our experienced team provides a comprehensive menu of preventive-based services for this exact reason, starting with professional dental checkups and teeth cleanings every six months. Please contact us today if you’d like to schedule a first appointment – we’re here to help! 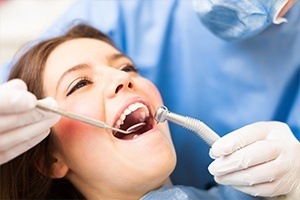 Why Choose Morgan-Hill Dental Care for Preventive Dentistry? At your first visit to our dental office, a detailed dental exam will be performed. X-rays may be taken at this visit to give our team as much information as possible to help in treating any issues with your teeth. 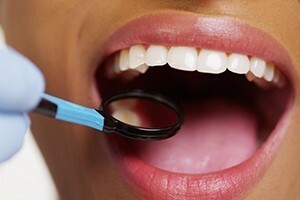 An evaluation of your general oral health and hygiene will also be done. During your visit, we will also be on the lookout for any tooth decay. The staff will use their special instruments to do this. Lastly, any existing dental work you have will be examined. 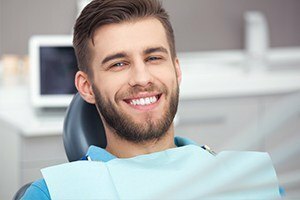 If you have fillings, crowns, or any other treatments done, it will be examined to be sure everything is in good condition. Periodontal disease (also known as gum disease) is a chronic infection that develops gradually over time, eventually leading to advanced consequences like tooth loss. That’s why early intervention is so important, and our capable team will do everything in our power to identify and treat harmful bacteria as soon as it appears. 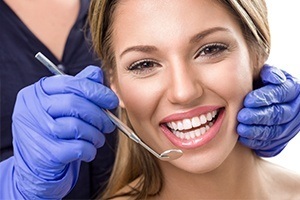 In addition to dedicated preventive screenings, scaling and root planing is available as an in-depth treatment method when gum disease is present. Dental sealants can provide an extra layer of protection for the wide chewing surfaces on the premolars and molars (back teeth), which are very susceptible to tooth decay over time because of their tendency to trap food particles. The sealant itself is a layer of tough, non-toxic plastic-based material that will be painted into place, serving as a barrier; the patient won’t even realize it’s there following the application. When playing a sport where physical contact with hard objects or other players is a possibility, it’s important to protect your smile from potential harm. Instead of relying on “one-size-fits-all” oral appliances from the local athletics store, our dentists strongly recommend being fitted for a 100% customized device here in Gorham. 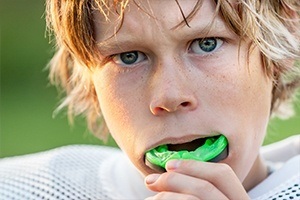 Our sports mouthguards offer excellent durability, comfortable stability, and enough flexibility that the wearer can speak and breathe without issue. If you’re regularly waking up in the mornings with worn-down teeth or chronic jaw pain without any idea as to why, it’s time to explore the possibility that you may be a victim of nighttime bruxism (the fancy term for teeth grinding). 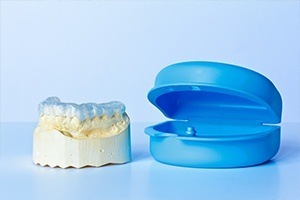 The best way to prevent lasting damage is to wear a nightguard – preferably a custom-made one from Morgan-Hill Dental Care. This device can establish a sturdy barrier between the rows of teeth to minimize harmful contact. An oral cancer screening evaluation will be done of your gums and bone around the teeth. The dentist and/or hygienist will be looking for any signs of gum disease or periodontal disease. Your face, neck, lips, tongue, throat and even the tissue in your mouth will be checked for oral cancer. Fluoride is a mineral that appears in several food items, countless oral hygiene products on pharmacy shelves, and even most community water supplies. This is because there is a long history of dedicated research that shows a positive link between safe fluoride exposure and stronger, healthier teeth. If our team determines that you or your child could benefit from more fluoride, professional applications can be provided during routine checkups and cleanings. The process only takes a few minutes! 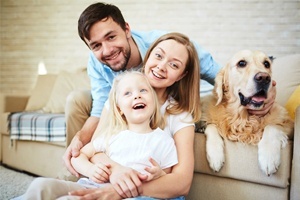 It’s never too early to start instilling good dental habits, which is why our dentists are always happy to welcome in the youngest members of your family. Our friendly and patient team will be sure to match their approach to your son or daughter’s current age and level of emotional maturity, providing careful checkups, gentle cleanings, fluoride treatments, dental sealants, and other child-friendly services. Our goal is to lay down the stepping stones they’ll need to enjoy a smile that shines brightly for life! When you choose us as your family dentist, you can experience the convenience of not having to run all over town to make sure everyone in your household maintains a healthy smile. We’re happy to work with patients of all ages, from wide-eyed toddlers to individuals who are up in years. Our goal is to establish a long-term, trusting relationship with you and your loved ones. To accomplish that, we offer a warm atmosphere, high-quality care, and a broad range of dental services that can benefit everyone in your family. 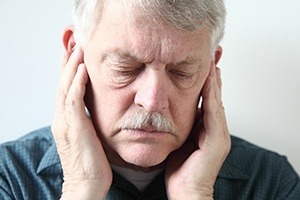 The temporomandibular (TMJ) joints are a crucial part of your oral health, allowing you to chew food properly, speak clearly, and even yawn when you’re tired. Unfortunately, dysfunction and stress can knock this intricate system off-balance and lead to chronic pain. At Morgan-Hill Dental Care, we’ll screen for TMJ disorders during routine checkups and provide dedicated therapy as needed, including occlusal (bite) adjustments and custom-made oral appliances.